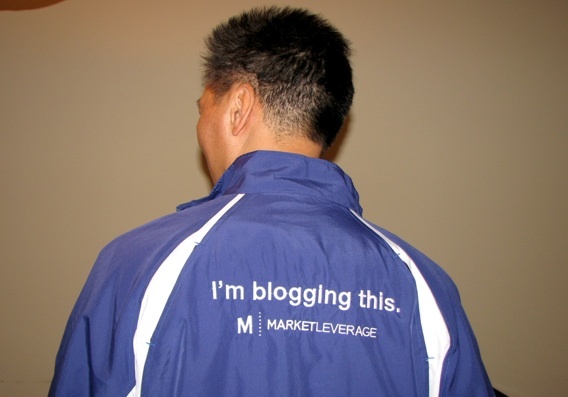 Market Leverage has unveiled the latest in their line of “I’m blogging this.” clothing. The new I’m blogging this jacket goes great with their I’m blogging this T-shirt. The blue and white jacket is lined with a mesh on the inside for extra comfort. The jacket is too light for the current Vancouver climate but I can see me putting it to good use when spring and summer hits. How Do You Get An I’m Blogging This Jacket? 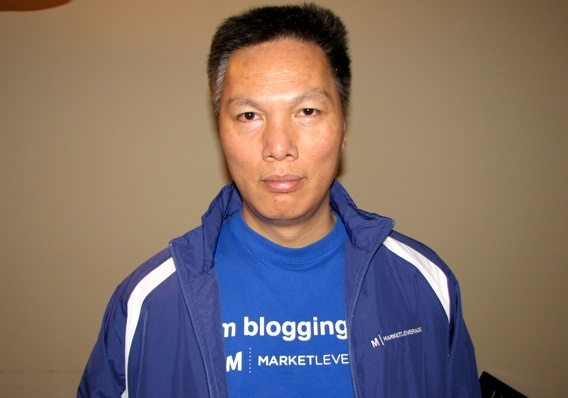 @MLDina I think you should give @JohnChow some I’m blogging this jackets to give away to his readers! We love @MarketLeverage and you! If that don’t get me at least a dozen jackets, I don’t know what will! The only thing Market Leverage needs to make now is an I’m blogging this sweat pants. Then I will have a complete “blogging suit” to go with my track suit.